The Port of Ramsgate recently contacted Hydrosphere for advice on navigational buoy replacements and upgrades at the port. 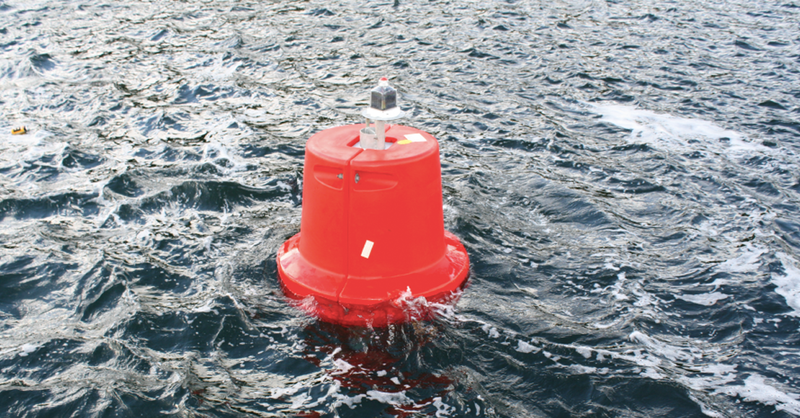 The port authority chose tried and tested Mobilis navigation buoys to replace No 2 Buoy in the main channel as well as two smaller inner channel lateral buoys. The Port of Ramsgate officially opened in 1850 and includes original features such as an impressive set of steps known as the ‘Jacob’s Ladder’. The port is unique in that it is the only UK harbour to be called a Royal Harbour and its foundation stone and obelisk, gifted by King George IV, is affectionately known by locals as the ‘royal toothpick’. The visually stunning harbour entertains thousands of heritage visitors each year, attracted by its maritime museum heritage, famous Jacob’s Ladder steps and the 1812 lighthouse. Commercially, the port operates cross channel freight traffic with Seaborne Freight, saving lorry drivers 100km over existing routes and avoiding congestion and delays around Calais. There are exciting plans to re-start passenger ferry services to Europe in 2019, capitalising on its prime gateway location. When working with clients, we focus on finding solutions to meet current requirements and will survive the worst site conditions. To make sure we offer the right buoy solution we consider in detail all the factors that will affect the visibility and stability of the mark including, depth of water, wave and current conditions, the range of light required, background lighting, conspicuity of daymark shape and topmark, and the required focal plane. Having completed a study and taking Thanet Council’s cost efficiency goals for longer term marine port planning into account, we collectively agreed the Mobilis Jet 2500 Q was the right solution for the outer channel buoy No.2 position. With a focal height of up to 3m, the Jet 2500 Q is suitable for a variety of open water conditions and difficult locations providing an extremely stable platform with excellent high visibility. Although the JET 2500 buoy supplied was a smaller diameter buoy than the one it was replacing due to the carefully thought out design of the buoy’s daymark and top-mark by Mobilis, No 2 buoy is now much more visible to the mariners using the channel. Instead of large and costly maintenance vessels having to complete comprehensive repairs on older traditional style steel buoys, this newer modular buoy design means smaller vessels and crews can respond quickly to inspect and carry out any maintenance tasks required much more cost effectively. The Port of Ramsgate also chose to update two buoys marking the inner channel, so we recommended the excellent Mobilis T1200 which offer generous amount of buoyancy and a large visible surface area. Again, these new red and green buoys were to replace the older style buoys. As with other buoys in the Mobilis range the floats are rotationally moulded medium density polyethylene (MDPE), which is UV stabilised to retain its colour within IALA guidelines for in excess of 15 years. The modular design around the galvanised centre steel structure reduces maintenance costs and again is achievable with smaller vessels. These inner buoys now weigh only 180 kgs and can be handled by much smaller boats. Having previously purchased cost effective and reliable self contained navigational light solutions from Hydrosphere the Port of Ramsgate again asked for recommendations to meet their requirements. Hydrosphere carried out solar calculations for various light solutions available from the extensive Carmanah Sabik Vega range of self contained lights available from Hydrosphere. The Port on this occasion opted for Vega lights for their new buoys to match Vega lights they already have in use. At Hydrosphere we’ve built a reputation for supplying reliable, cost effective solutions for aids to navigation. In this case, we were able to significantly lessen the cost of ongoing navigational buoy maintenance for our district authority clients. Get in touch to discuss the needs for your next maritime project with sales@hydrosphere.co.uk.